Your first step should be to arrange an appointment with one of our Loan Originators. A Classic Home Loans Loan Originator can work with you to determine your borrowing capacity and purchasing power so you know exactly what your budget is. With a clear idea of your borrowing capacity, your Loan Officer can also help you obtain ‘pre-qualification’. While it is still subject to some terms and conditions, a ‘pre-qualification’ can give you comfort from a lender that they are willing to lend you a certain amount, based on the information you supply. Usually valid for around three months, a pre-qualified home loan will place you in a stronger buying position and demonstrate to vendors that you are a serious buyer. It also means you can strike while the iron’s hot and act quickly when you find the property you want. With your finances in place your next step is to start scoping out the property market. Do your homework, put together a checklist of what you want in your property and spend a few months getting a feel for the property market and what price properties in your area of interest are selling for. Remember, you can’t do too much research, so don’t rush in! Once you find the right property you’ll need to ensure you’re making a smart purchase, not buying a lemon. This means having a pest and building inspection to minimize the chance of any nasty surprises. If you’re happy with what you find, it’s now time to secure your official loan approval. Once you’ve properly inspected the property, you’re ready to make an offer. You can actually make your offer prior to having your inspections done and formal loan approval, so long as this is noted in the offer. This is what’s known as a ‘conditional offer’. Once the seller accepts the offer, contracts are exchanged and you may be required to pay a deposit -usually $500 to $1000 depending on the seller and the real estate agent you are working with. The contract will include a settlement date, which is the date on which the property actually becomes yours. Once signed, you will be legally obliged to go through with the purchase. Don’t sign anything until you are completely at ease with all of the terms and conditions and have been advised by your attorney, if necessary. Depending on which state the property is in – as well as the contract’s terms and conditions – there may be a ‘cooling off period’ during which you can withdraw from the sale. This, however, may involve your losing some or all of your deposit so it’s important to be 100 per cent certain before signing the contract. If the property you want to make your first home is for sale by a foreclosure rather than private party, this process will be slightly different. Any bids made on the foreclosure are binding and cannot be withdrawn. If you are the successful bidder, you will have to sign the contract for purchase immediately as well as provide the required deposit. Most importantly, there will be no cooling-off period and no opportunity to change your mind. For this reason it’s absolutely vital to conduct your relevant inspections prior to placing your offer. 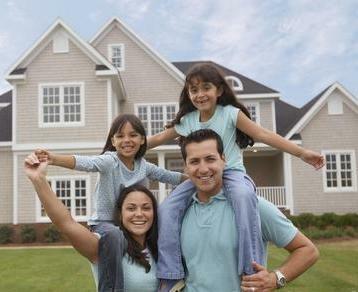 On the settlement date, you take legal ownership of the property and receive the official title to the property. The balance of the purchase price will also have to be paid at this point, plus closing costs and any insurance expenses. However, this is also the day on which you’ll receive those keys and finally celebrate becoming the owner of your first home! Remember, purchasing a property is a complex process and this is only a simplified guide to what you can expect. To ensure your experience is as stress-free as possible, speak to a Classic Home Loans Loan Officer and take advantage of their expertise and advice as you work your way through the purchase process.